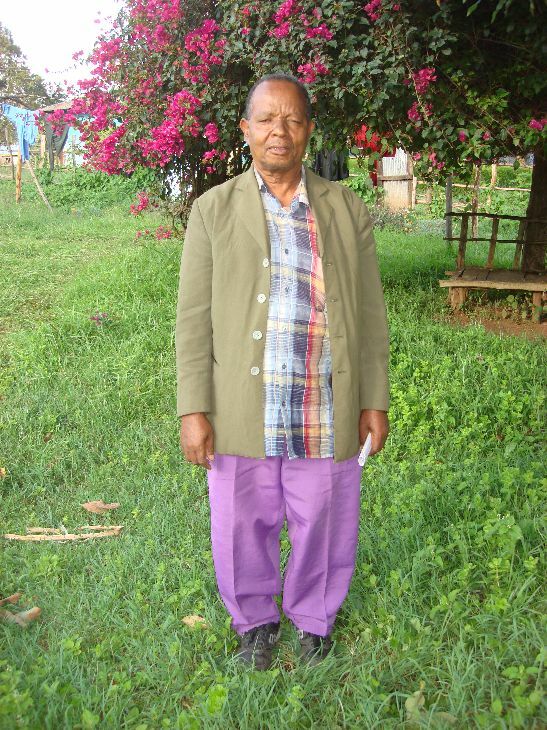 Enoch, or Henok in Ethiopian, is a missionary evangelist who has served God in many remote areas of Ethiopia. Five years ago he served in a desert region which borders Somalia. While he was serving there by evangelizing and trying to plant a new church he heard the Holy Spirit speak to him clearly. The Holy Spirit told him there would be a great temptation and trial coming to him, so he must fast and pray for 18 days. He immediately started his fast drinking only one small cup of water with some gruel each evening during the fast. He sought God and prayed for his protection, but he received no further instructions. After 18 days he completed the fast and satan sent a woman to meet him. She tried to seduce him and even tried to get into his house to sleep with him. He refused her. He assumed this was the challenge and so he rejoiced that he remained strong. He then took the actions of the lady to some Christian women and asked them to counsel her. They did so, but this made the woman furious that her seducing was made public. Many times, while he was on mission reaching into these unreached areas people would cook food for him. So, one day he was brought some food. It was normal Ethiopian food and he ate it. However, this woman had poisoned the food. Within hours he laid in his little mud house in intense pain and then he died. When he died he found himself in the presence of two mighty angels. They were large angels and grasped his arms on each side and took him ascending into the heavens. He questioned the angels, “What did I do? Why did you kill me?” He was almost angry to be headed to heaven, but they remained silent. They took him to a large house where a tall and handsome man walked out and faced him. He asked again, “What did I do?” And the man said to the angels, “Set him free”. He then came back to life in the little hut the next day. Immediately he was completely restored and he continued to share about Jesus and how God saved him from death from poisoning! A small group of believer was formed. It was not long after that, that the woman decided to try to kill him again. She arranged to poison the food again and once again, he died. This time he did not see angels or meet his Savior. He does not know exactly how long he was dead, but it was the next day before he came back to life again. Once again Jesus defeated the power of death again. By now, word was spreading that this Christian man could not be killed. This was a staunchly Muslim area, but Enoch refused to retreat even after being killed twice with poison. After each poisoning, he was brought back to life again. Many people began believing in Jesus seeing the power of God being stronger than death! A small church was born and began to grow. However, the woman, unknown to Enoch, was not satisfied with killing him twice. She poisoned him again, for a third time using stronger poisons to somehow make him “more dead”. Again Enoch died. Yet, again, a third time Jesus brought him back to life, in the presence of others, after being dead for many hours. After the third murder, the woman came to him and bowed weeping before him and confessed that she tried to kill him three times. She explained how she was able to poison his food that was brought to him, yet when he died, each time he lived again. When he died, he knew someone had killed him, however, his response was simply to continue sharing Jesus with everyone. He didn’t leave the dangerous region and try to go back to home, or retire. He simply continued to share the love of Jesus because he knew that this trial was the larger one that the Holy Spirit had warned him about. The lady convicted in her heart then came weeping before him. She said that she saw Jesus in him. Then, before the man she killed three times, she prayed to accept Jesus in her heart. In that place near the Somalia border among people who were formerly Muslim, there is now a thriving group of Christ followers numbering more than five hundred. The woman who poisoned him is one of the worship leaders in the church. Enoch has now moved to other remote areas of Ethiopia and is serving God by sharing the love of Jesus among others who may also try to kill him again. Enoch of Ethiopia, your mother gave you a very fitting name. Enoch of the Bible was taken up into heaven and never knew death. Enoch of Ethiopia has known death three times, yet lives to share the love of Jesus. What an awesome testimony of the resurrection power of God not only for the man but also for the woman who poisoned him.